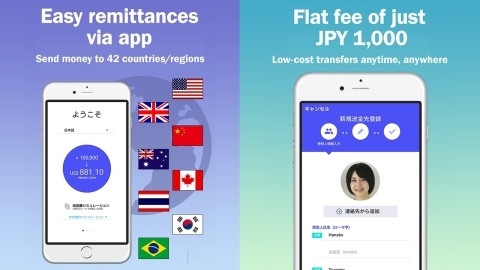 TOKYO--(BUSINESS WIRE)--NTT DOCOMO, INC. announced today that it will expand its docomo Money Transfer mobile overseas remittance service to China and Thailand from December 17, bringing the total number of destination countries and regions to 42. Remittances to 70 banks and financial institutions in China and 28 in Thailand will be possible for a flat fee of JPY 1,000 (tax free). DOCOMO’s mobile overseas remittance service, which launched in 2011, enables Japanese subscribers to send funds with ease and convenience to children studying abroad or family working overseas. It has also been used increasingly by DOCOMO’s foreign subscribers in Japan to remit funds to family back home. Many subscribers are now expected to use the service for remittances to China and Thailand, two countries with vibrant economies. DOCOMO’s overseas remittance service can be used via a web browser or iOSTM/AndroidTM app on a DOCOMO feature phone or smartphone. The service is available anytime, except between 3 a.m. and 6 a.m. JST. 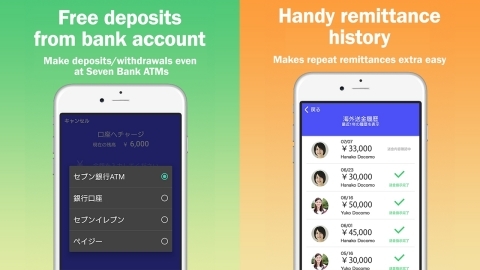 After registering, the user simply deposits cash into their docomo Kouza account at an ATM, bank or convenience store, or via Pay-easy, prior to making a remittance. “Android” is a trademark or registered trademark of Google Inc.
“iOS” is a trademark or registered trademark of Cisco in the U.S. and other countries and is used under license. NTT DOCOMO, Japan's leading mobile operator with over 77 million subscriptions, is one of the world's foremost contributors to 3G, 4G and 5G mobile network technologies. Beyond core communications services, DOCOMO is challenging new frontiers in collaboration with a growing number of entities ("+d" partners), creating exciting and convenient value-added services that change the way people live and work. Under a medium-term plan toward 2020 and beyond, DOCOMO is pioneering a leading-edge 5G network to facilitate innovative services that will amaze and inspire customers beyond their expectations. DOCOMO is listed on the Tokyo Stock Exchange (9437). www.nttdocomo.co.jp/english.